I would so wear the amount of jewellery here but I can only imagine how heavy all the pieces combined would weigh on my neck. I think 2-3 pieces is my record so far. Totally incomparable I know. The bangles on the other hand, I sometimes have to control the amount I pile on (which is quite alot), usually based on what I'm doing for that particular day. I guess these layered necklaces stands in between the 'more v.s less' territory? 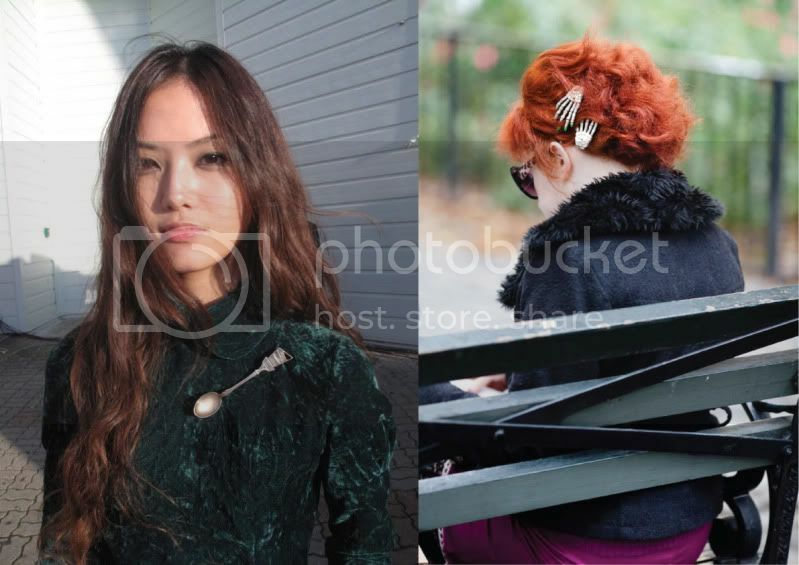 One statement accessory piece to complete the outfit. Easy & effortless. If you're not one of those who love piling on accessories, maybe you can consider a subtle piece of jewellery instead. I LOVE.LOVE.LOVE the aeroplane bangle!!! If I did save my image info correctly, it's a Maison Martin Margiela piece which obviously means an out-of-reach price range. Sob. I don't wear brooches so I don't exactly appreciate them that much but this is a pretty cute spoon brooch. Looks like one of those souvenir pieces don't you think? The hand/claw-like hairclip on the right is definitely something that will make people take a second look. Very interesting piece, don't think I've seen anything similar before. So, what's your take? Team More Is More or Team Less Is More? As of now, I'm on Team More Is More! i love the layered necklace look! Went around looking for layered necklaces that aren't too heavy.. 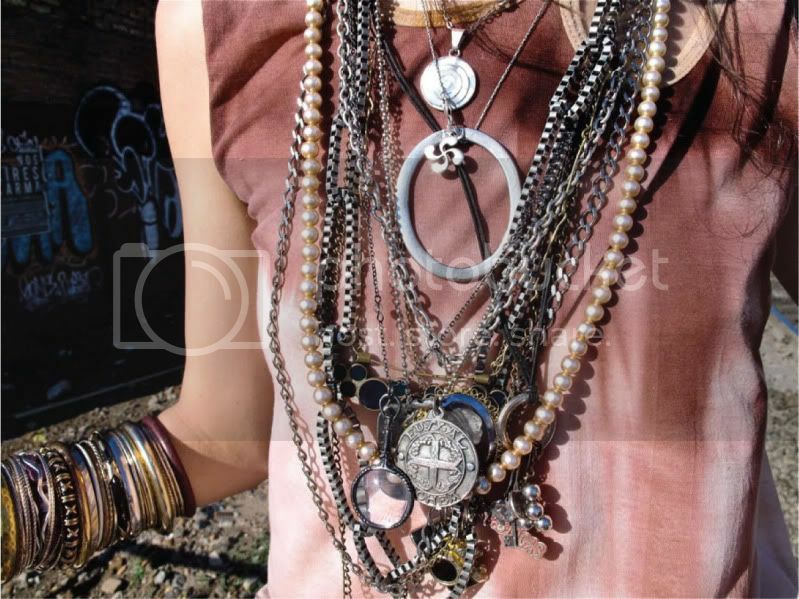 I think Diva has a few not bad ones..
yeah, I love the necklaces at Diva! 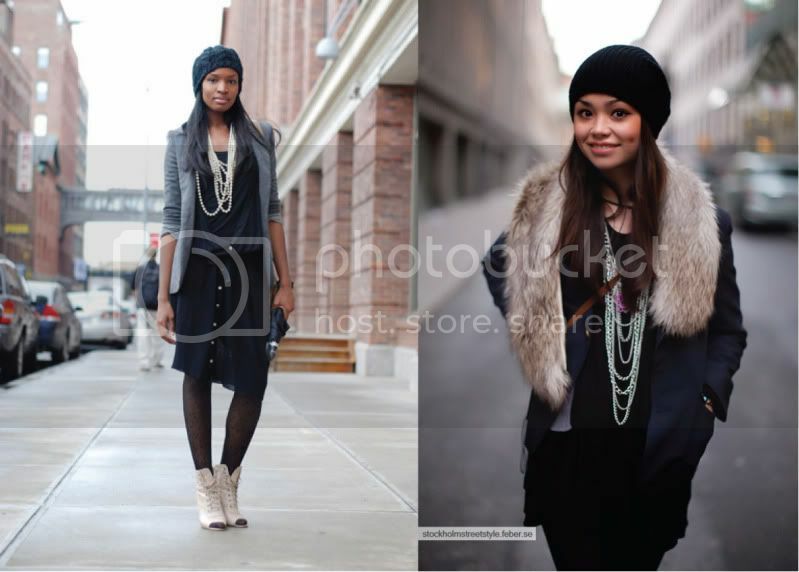 I find alot of nice accessories at F21 also..
Great post! 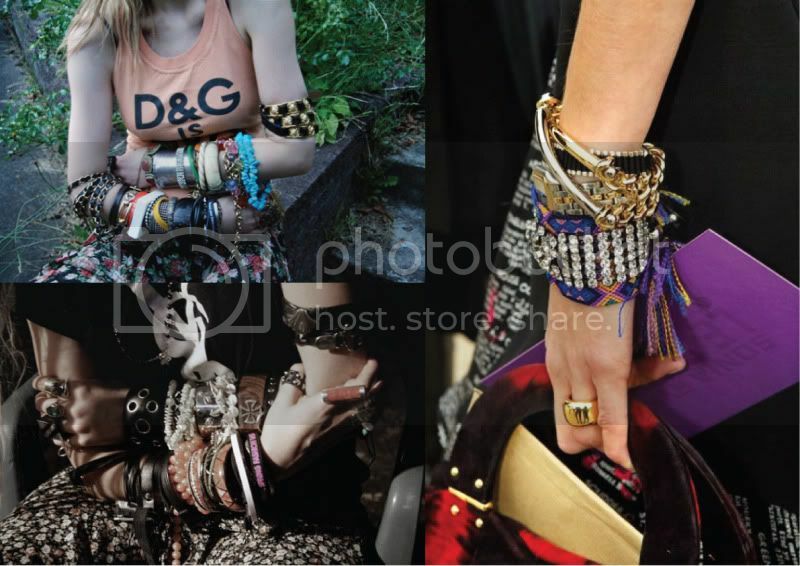 I love the layering of accessories, and all those pieces are so cool and diverse... thanks for sharing!